This is the largest dome you can build without planning permission. 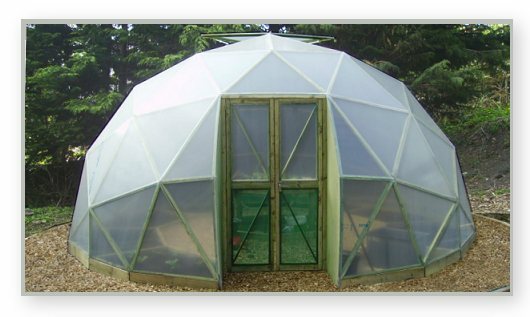 6 meters in diameter and just over 3 meters tall, this is a very spacious and great value dome. Use it for growing large plants, a sun room or can be built against a wall and used as a very nice conservatory. 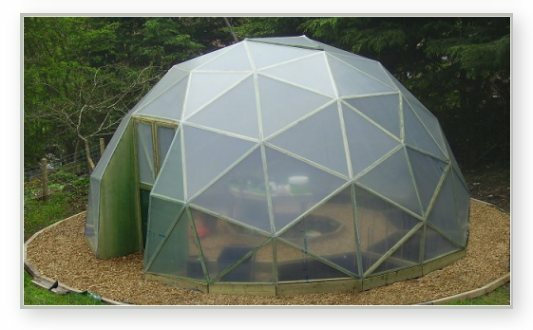 Big enough to cover a pool or spar with space around the sides this is a very versitile size dome with many uses. we need this but it must be portable & easy 2 set up & take down.....can u help us please? You can use steel conduit and greenhouse plastic. Idea for mounting brackets in making a SIMPLE 3v dome and wood frame. For hex and on a budget you may use quantity of 3 - 1.5� wide straps drilled and bolted together in the center and rotated 60 degrees to accomplish same effect, may need spacers or shims to level all boards. For 5 way make a custom bracket with five legs @ 72 degrees each... I can provide scale drawings to anyone who would like them ! 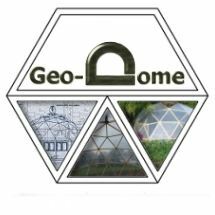 where do I find prices for dome/greenhouse plans? I have been thinking about useing 70 percent shade cloth and spraying it with good high uv resistant paint as a cover.Gempers has the cheapest shade cloth I can find on the net.What do you think? I noticed you said it's not good to go more than 1 meter triangle size if you cover with polycarbonate. 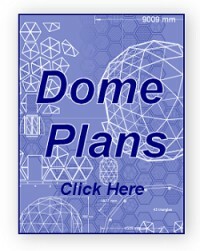 I guess if I build this dome I must cover with something other than polycarbonate? 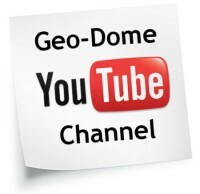 Copyright © 2007- 2014 geo-dome.co.uk. All Rights Reserved.